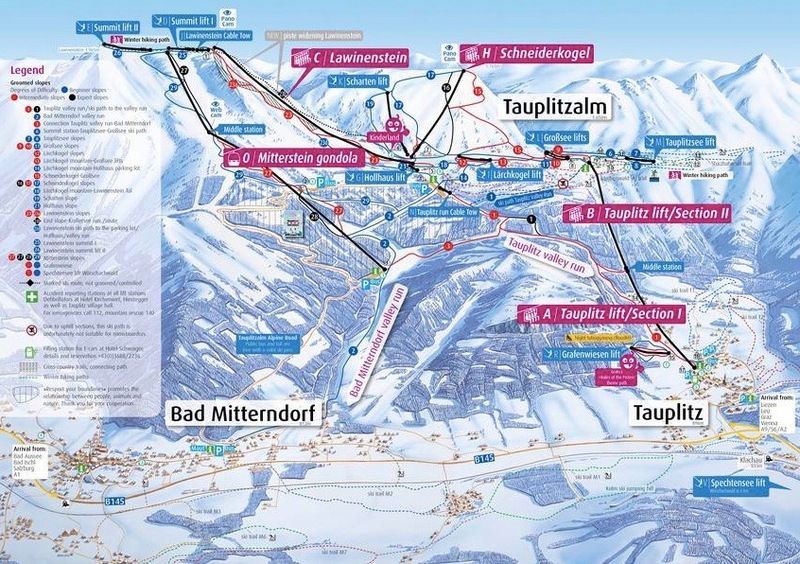 Thinking of buying a ski property in Tauplitz? We have a great collection of ski apartments and chalets for sale in this lovely resort! 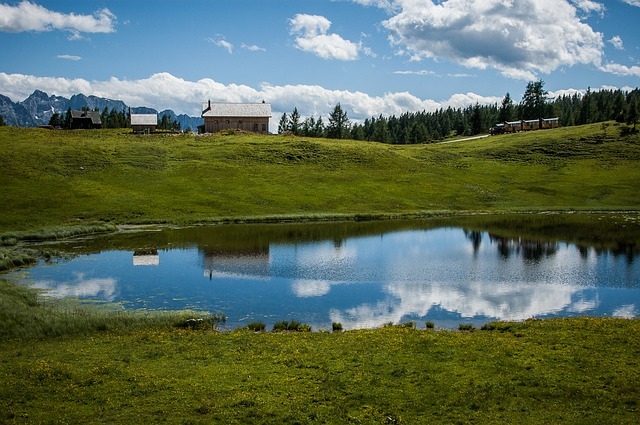 Check out this page to see if it is the right place for your Austrian holiday home! Don’t miss: For some real sense of serenity, visit some of the less known smaller ski centres such as Loser or the tiny Kaiserau where you will find a real family atmosphere and some very authentic ski huts with delicious regional dishes. Situated in the heart of Austria in the province of Styria, the Tauplitz-Mitterndorf area has a ski history dating back to the beginning of last century. Part of the larger Schneebären ski area covered by one skipass providing access to over 120km of slopes, the resort has some of the most reliable snow conditions in Austria with guaranteed snow from early December to late April. This up-and-coming area has a strong growth potential and some interesting real estate opportunities. The Tauplitz / Bad Mitterndorf area is a medium-sized ski resort well known for its quality of snow, world-class infrastructure and family friendly atmosphere. It offers a good mix of easy and more difficult runs with the drops of the Schneiderkogel providing some excitement to the lovers of freestyle and powder skiing. Skiers and snowboarders can explore other nearby ski centres thanks to the “Schneebären Skipass” which covers also Riesneralm Ski (30km), the Planneralm (16km), Loser (33km) and Kaiserau (3km) centres. Away from the slopes more fun activities are waiting for you including night-sledding or relaxing at the GrimmingTherme spa. 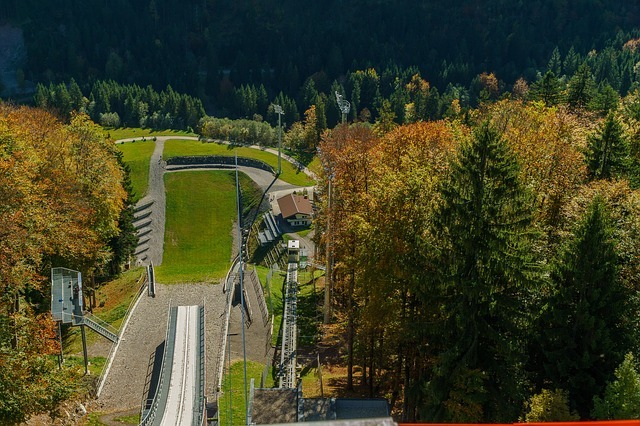 Kulm, between the two villages, is a ski flying venue and has hosted the Ski Flying Championship five times, given it is one of only five places in the world allowing for jumps of over 240m. 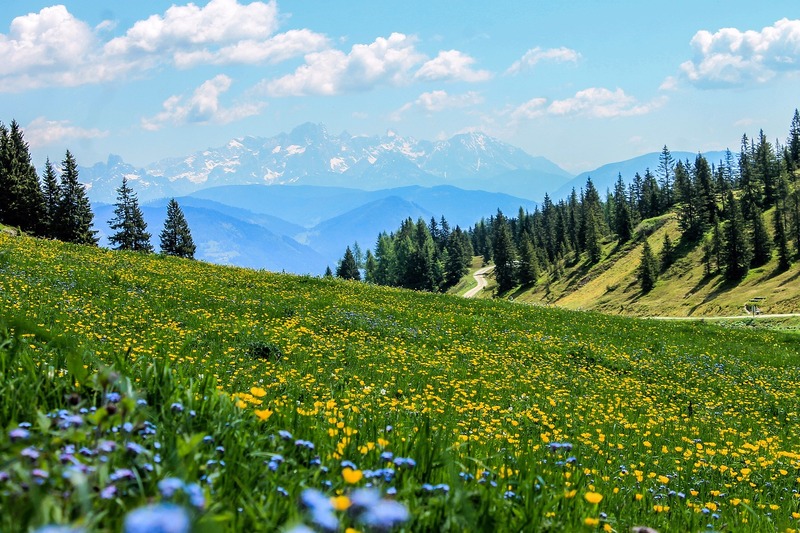 The Tauplitz Cablecar remains open in summer and will bring you up to the incredible world of alpine lakes, beautiful flora and enchanting views. A rich diversity of landscapes awaits you together with countless kilometres of hiking paths. The one that leads you around the six Tauplitz lakes is especially popular and you should not forget your swimsuit as bathing opportunities abound. 32 cycling trails in and around Tauplitz offer immense possibilities for biking enthusiasts. Every spring, thousands of daffodils transform the alpine scenery of Ausseerland into a sea of flowers with the Narzissenfest festival. Only 15min drive away, the 18-hole golf course of the romantic Caste of Pichlarn, provides you with an enviable position for your favourite game, set against the stunning backdrop of the Grimming mountain. Styria has a strong tradition of organic cultivation and the global trend in locally produced non-modified foods has further underpinned the current focus on ecological agriculture and sustainable nutrition in the region. Today over 3,400 farms have committed themselves to being fully organic and meet the strict guidelines. Stop at one of the “Kulinarium Styria” awarded restaurants and see if you can taste the difference! You can also pop at one of the delicatessen stores for a quick bite. The hallmark Styrian dishes include for example the Styrian pork or the baked apple rings. In Styria, you also have the opportunity to live through some true culinary experiences from learning the craft from brewing a beer to watching the cheese-making process live.